Governments worldwide crave hidding information from the public they govern. Not even the advent of the â€Žfreedom of information regime has changed this fundamentally. It is therefore a welcome development when memos or details of happenings in government are leaked to the public.â€Ž Although, those who choose to leak such memos have their own agenda other than the need for the public to know, citizens are always excited by such leakages. It is in this sense that journalists, bloggers and the entire citizenry welcomed the memo to President Muhammadu Buhari byâ€Ž the Minister of State for Petroleum, Dr Ibe Kachikwu accusing the Group Managing Director of the Nigerian National Petroleum Corporation, Maikanti Baru, â€Žof insurbodiation among others. While leaking government’s memo to the public thrill the citizens, government officials on the other hands don’t like it because the contents of leaked memos are usually a source of embarrassment to those in government. Obviously, the Kachikwu memoâ€Ž is an embarrassment to President Muhammadu Buhari’s administration. What the government does not want the people to know has been released to them effortlessly. Curiously, this is becoming a recurrent decimal in this administration. Perhaps, something is wrong with the channel of communication with the president. â€ŽThere are many memos sent to the president which he did not get to read. Somewhere along the line, the memo got stuck somewhere. Except it is leaked as is the case with the Kachikwu memo, the president may never see such memo. One thing that is clear is that the communication between the president and members of his cabinet is not serving him well. It is also not serving the country right. He either overhauls the system now or waits to be embarrassed â€Žthe more in the future. Had he received the Kachikwu memo and acted on it promptly, his government would have been saved the humiliation. The opposition Peoples Democratic Party has latched on to it and is now accusing the APC government of corruption. Closely related to the above is the issue of lack of co-ordination â€Žwithin the government. Perhaps, because it is difficult to reach the president, those in government often express their frustration in the public to the consternation of the president. If he is not taking on the National Assembly he will be casting aspersions on the leadership of the ruling party. Even the Attorney General of the Federation, Abubakar Malami has not been spared of his attacks. Worst still, it appears the president enjoys all these and has refused to call him to order. Among others, he had accused the APC-controlled National Assembly of undermining the anti-corruption war. In May, while reacting to Senate President Bukola Saraki and Speaker Yakubu Dogaraâ€™s claims that the anti-corruption was ineffective, Sagay accused the lawmakers of failing to rid the country of corruption. He said they refused to pass key anti-graft bills and failed to confirm Ibrahim Magu as Economic and Financial Crimes Commission (EFCC) chairman. He said: â€œIn fact, the National Assembly has constituted itself into an opposition to the anti-corruption struggle. It has mounted a war against the anti-corruption struggle. It has decided to obstruct it at every stage. â€œFor example, the bill for a special criminal court is not moving. And we saw the way they tried to stop Magu from being chairman of EFCC just because they found out he was effective, determined and incorruptible. He said: â€œFrom the information I have gathered, a Nigerian Senator earns about N29 million a month and over N3 billion a year,â€ the professor said. â€œBasic salary N2,484,245.50; hardship allowance, 1,242, 122.70; constituency allowanceÂ N4, 968, 509.00; furniture allowance N7, 452, 736.50; newspaper allowanceÂ N1, 242, 122.70. Still in September, Sagay took on the president’s political party, APC. In what some described as the most scathing criticism by a high-ranking member of the APC government, Sagay had in a press interview described the leadership of the party as the most unprincipled group of people who were encouraging and accepting rogues into its fold. As rightly interpreted by the party, that included the president himself. In a statement by its National Publicity Secretary, Mallam Bolaji Abdullahi, APC said there was no way Sagay could call out the leadership of the party as â€œweakâ€ and â€œunprincipledâ€ without indicting the president. It said: â€œIn his sheer arrogance, he forgets that it is impossible for him to call out the leadership of the party as â€˜weakâ€™ and â€˜unprincipledâ€™ without indicting the president, who is the leader of the party and has the fundamental responsibility to build the party. In the interview, Sagay described the leadership of the APC as â€œthe most unprincipled group of peopleâ€ who are â€œencouraging and accepting roguesâ€ into the party. Before then, Sagay had attacked Malami of not leading the fight against corruption properly. After the Code of Conduct Tribunal had dismissed the case against Saraki, Sagay descended on the justice minister. To say that the Honourable Attorney General of the Federation, Abubakar Malami, SAN frowns at the statement is an understatement. In fact, he is highly disappointed that such accusation and statement could be made by those who ought to know better. â€œThe Honourable Attorney General of the Federation is saddened and flummoxed at the attempt to cast aspersion on his integrity, dedication and commitment to the war against corruption which undoubtedly is one of the major cornerstones of the present administration. â€œThere is no gainsaying that the incumbent Attorney General of the Federation has shown and demonstrated so much passion, drive, will and enthusiasm in prosecution of transgressors of the law ever seen in the annals of this country. He doubted the commitment of the justice minister to the anti-corruption war. â€œTowards this end, the Honourable Attorney General of the Federation, since his assumption of office, has initiated numerous reforms and programmes to drive the war against corruption, including the recently launched National Anti-Corruption Strategy, 2017. The recurrent disagreement between the justice minister and the Acting Chairman of the EFCC, Ibrahim Magu has also been another source of embarrassment for the government. Even though the President is eager to blame the wobbling anti-corruption war on judges, defence lawyers and the accused persons, it had refused to see inter-agencies rivalry as a clog in the wheel of progress. The Justice Ministry had openly accused the EFCC of frustrating the prosecution high-profile cases. It accused the commission of breaching the rules guiding prosecution of high level corruption cases being handled by the commission. The ministerâ€™s office in a letter to Magu sought for the compliance with the regulation on the prosecution of â€œseriousâ€ cases, usually understood to mean high-profile investigations. Malami accused Magu of breaching section 10(1) of the Economic and Financial Crimes Commission (Enforcement) Regulations 2010 which mandates the EFCC to forward the outcome of investigations along with its recommendations to the AGF in cases or complaints that are â€œserious or complexâ€. A case is considered â€œserious or complexâ€ if it has significant international dimension, involves money or assets of a value exceeding N50 million or requires specialised knowledge of financial, commercial, fiscal or regulatory matters such as the operations of the markets, banking systems, trusts or tax regimes. But the EFCC chairman allegedly ignored the Attorney General. The commission’s officials believe Malami is seeking to take over the prosecution of cases handled by the commission in order to water down the anti-graft war, an allegation which the minister denied. 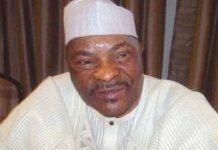 At a point, the dispute between Malami and Magu degenerated further when the Special Assistant to the President on Prosecution, Mr Okoi Obono-Obla, said that Malami would report Magu and Ekpo Nta, chairman of the Independent Corrupt Practices and Other Related Offences Commission (ICPC) to the Presidency for breaching the rules. Obono-Obla said the failure to forward the files to the AGF since July 2016 when the request was made had caused a setback to the anti-graft war, blaming the strings of losses recorded in high-profile cases on the â€œbreachâ€. He also accused the EFCC and ICPC of failing to cooperate with Malami, which had led to the loss of some high-profile corruption cases. He also said the Attorney-Generalâ€™s office has the right to initiate new high-profile corruption cases and investigate them without waiting for cases initiated by the EFCC. 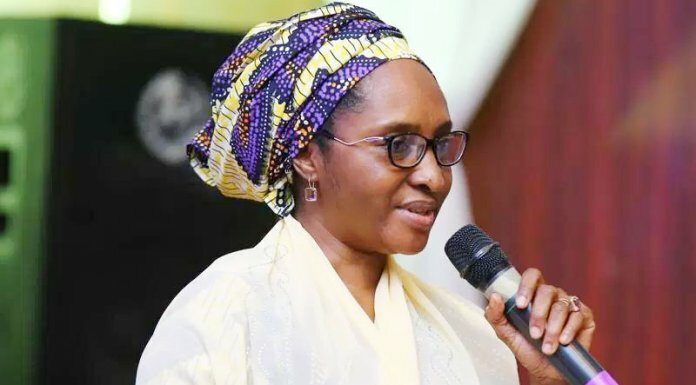 The suspension of Nigeria from the Egmont Group of Financial Intelligence Units has been another source of disagreement between the EFCC and the justice minister. Since 2006 when the Nigerian Financial Intelligent Unit was established, it had been under the EFCC. Although it was expected to be independent of the EFCC, this however was not the case. While Malami is making effort to remove the unit from the EFCC in compliance with the Egmont Group’s standards, the leadership of the EFCC appeared to favour the present status quo. Section 1(2)(C) of the EFCC Act stipulates that the commission is the designated Financial Intelligence Unit (FIU) in Nigeria, which is charged with the responsibility of coordinating the various institutions involved in the fight against money laundering and enforcement of all laws dealing with economic and financial crimes in Nigeria. The spokesman for the justice minister, Mrs Salihu Isah once wrote a piece where he accused the EFCC of frustrating his boss’ efforts to make the NFIU an independent institution. According to him EFCC is the NFIU. Without a clear legal framework, it is obvious that the NFIU, cannot function independent of the EFCC as required by the Egmont Group. He then went ahead to accuse Magu of frustrating efforts to liberate the NFIU from EFCC’s claws. He noted that during the House of Representatives Committee review session on 18th April, 2017, Magu vehemently rejected the new Money Laundering (Prevention and Prohibition Bill 2016 submitted by the President. He said that EFCC was in a state of paranoia, dreading the effort of the government to have an independent NFIU. How did things get this nasty between the justice minister and the EFCC Acting Chairman? Why could the Presidency not stop the open war between the two? A coalition of Civil Society Organizations decried the face-off between the minister and Magu, saying it was an embarrassment to the Federal Government. The coalition warned that the war against corruption must not be allowed to suffer over the face-off. equally urged Malami not to yield to fifth columnists in the war against corruption. The statement, which appeared to side with the EFCC was signed by Chido Onumah (African Centre for Media & Information Literacy), Olanrewaju Suraju (Civil Society Network Against Corruption), Anwal Musa Rafsanjani (Civil Society Legislative Advocacy Centre), Mohamed Attah (Procurement Observation and Advocacy Initiative), George-Hill Anthony (Niger Delta Budget Monitoring Group) and Ibrahim Modibbo (Democrats of Conscience). The statement, titled: â€œCivil society position on the relationship between the AGF and the EFCC,â€ reads: â€œThe attention of the under listed civil society organisations has been drawn to the needless rift between the Honourable Attorney General of the Federation and Minister of Justice and the Economic and Financial Crimes Commission (EFCC) which further deteriorated with the recent ill-advised statement by Salihu Othman Isah, media aide to the AGF, pointing to the EFCC boss, Ibrahim Magu, as the one undermining the war against corruption of the current administration. â€œWe see the deepening disharmony between the two government institutions as an embarrassment to the federal government and it is capable of weakening its anti-corruption efforts. We are alarmed that someone in the office of the AGF could be making such sweeping and grievous allegation without an atom of proof. We want to believe that Mr. Isah did not speak the mind of his boss given that the AGF himself had dismissed any notion of quarrel or disagreement between him and Mr. Ibrahim Magu as widely reported in the media a couple of weeks ago. 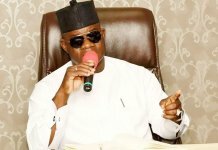 â€œThe story of what led to the suspension of the Nigerian Financial Intelligence Unit (NFIU) from the Egmont Group of Financial Intelligence Units, an informal network of national financial intelligence units, is already well known and has nothing to do with the person of Ibrahim Magu or the EFCC. Since the government has set up a committee to address the issue, we urge that the committee be allowed to do its job without interference, though we believe the committee has already been infiltrated by fifth columnists who are using the committeeâ€™s name to push personal objectives. â€œBy calling for all case files of politically exposed persons, we see the desperation of the AGF to assert his position as Chief Law Officer of the Federation. That position is not in doubt and we donâ€™t want to believe the EFCC as an institution has given any indication that it was unwilling to yield to the directive. We are reliably informed that a good number of cases have been sent by the agency to the AGF, including the controversial Malabu case which sources in the AGF office confirmed receiving in January this year. As at the time of this release, the AGF has done nothing about the case? â€œWe also want to draw the attention of the public to the fact that even in cases such as the ones involving judges arrested for alleged corruption by the Department of State Security (DSS), the AGF has not fared well in prosecuting them. We would like the AGF to tell Nigerians the successful convictions his office has secured in the fight against corruption in the last 2 years. On the other hand, this year alone, the EFCC going by records available to the public, secured 124 convictions as at the end of July. â€œThe challenges being faced by EFCC in the prosecution of high profile cases are well-known. They include blackmail, intimidation and petitions against some judges who are trying corruption cases by the defence counsel who are mostly SANs.â€¨â€œOnce these counsels perceive that the odds are against their clients and the judges are not yielding to their delay tactics, they attack the judges. â€œInstead of engaging in â€˜petty shadow boxing,â€™ what the country needs at this moment, particularly in the war against corruption, is focused leadership. In our opinion, this is no time to give in to the wiles of inordinately ambitious fifth columnists. Under normal circumstances, a nasty power struggle between a minister and a manager of a parastatal under him would have ended with the manager being humbled. But in the face-off between Kachikwu and Baru, it was the minister who ended with a bloodied face, the aura of his office demystified, his reputation hanging in the balance and his person, humbled. Welcome to the world of President Muhammadu Buhari, the President and Commander-in-Chief of the Armed Forces of the Federal Republic of Nigeria. Buhari began his government two years ago with an impassioned plea to Nigerians for understanding and that he wanted to clean the Augean Stable of corruption in the system that had almost made the country a pariah nation in the comity of nations. In asserting his independence of mind and actions, he made it clears that he would be his own man belonging to everyone and belonging to no one. One of his first actions was to head hunt a seasoned oil industry executive, Kachikwu to head the NNPC which had been enmeshed in web of corruption. To most Nigerians, this was the first sign that the promised change of the APC was truly serious. But two years down the line, no one is sure that is still the case. Today everybody is complaining about the dysfunction in the system. A government divided against itself, a political party that is not coordinated, Nigerians as a people exasperated by a president that is totally distant from the state of affairs in his government and the reality of things in the country. While Presidency officials were unwilling to react to the issue, the Peoples Democratic Party (PDP) saw the embarrassment as an opportunity to attack the ruling party. To PDP, this shows total confusion in APC says PDP’s spokesman, Prince Dayo Adeyeye. 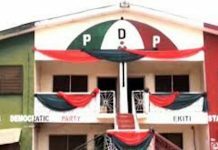 While affirming the confusion in the ruling party and government, the PDP said: â€œThis shows total confusion in the party, both in its officials and appointees in government. The government is in disarray, the party is in disarray, there is no common position between the party and the government and that is why nothing seems to be moving in the country. â€œThat is why their run has been that of dismal failure; whether in the area of the economy or any other sector. That is what happens when a party comes to power without a clear agenda, without a genuine interest in the affairs of the people. â€œThe APC desperately came to power just to take power for the sake of it, not to do anything and what is manifesting now is total confusion; because if there was a programme, all of them could have seen where they were headed. That is why everyone has his own different approach to issues. While the president deserves commendation for stepping in quickly (some say he has no choice) to resolve the dispute between Kachikwu and Baru, he should immediately intervene in many other internal frictions within his government.